One step closure to 10.7.2, which will deliver iCloud compatibility to your mac, you can enjoy the latest bug fixes. 10.7.1 doesn't add any new features but does solve major issues including missing admin accounts, and video play back freezing in Safari. 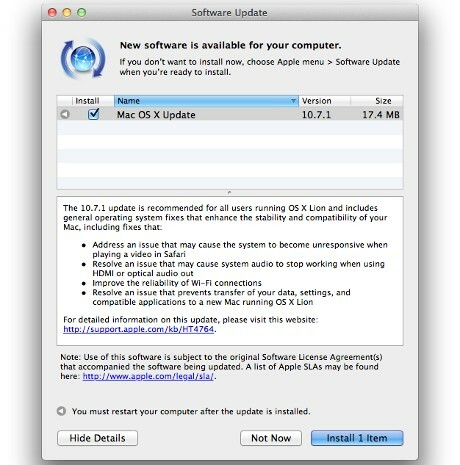 Check Apple Software Update to download.